This bright red leaf stood out in such strong contrast to the green all around it. All of the other leaves were only beginning to show hints of gold and yellow. It was truly a harbinger of things to come! 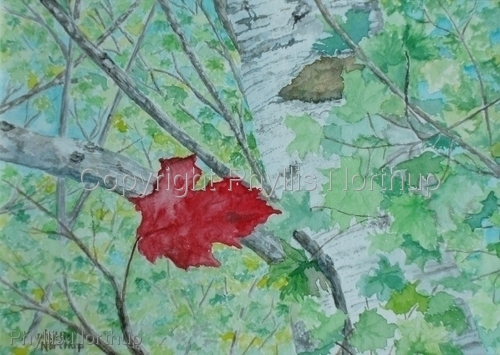 Giclee print from original watercolor. Single Matted ready for a standard 8x10 frame. Original available, matted and ready for an 8x10 frame.